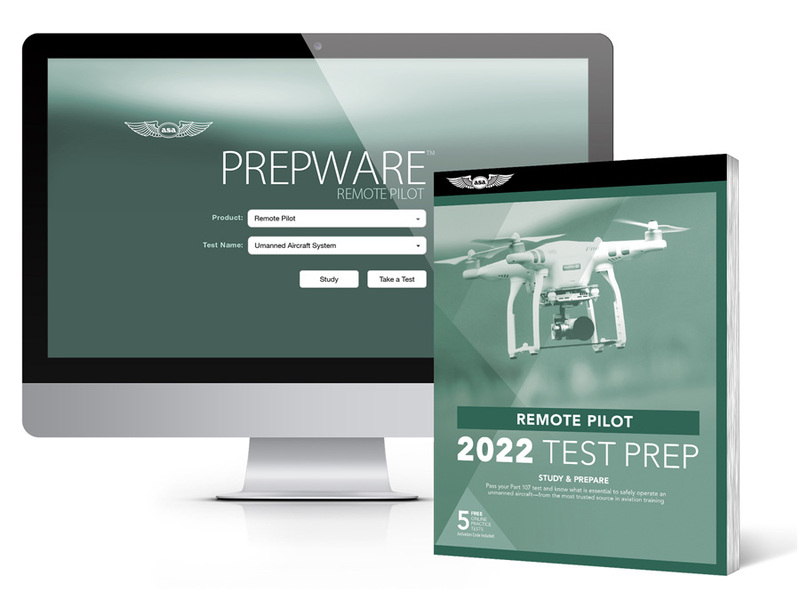 Use Remote Pilot Test Prep for the Unmanned Aircraft General-Small (UAF) FAA Knowledge Exam. Review: I spent six weeks of intense personal preparation for the FAA Remote Pilot exam. The UAS Remote Pilot Study manual was invaluable in breaking out the topics into five specific areas of study. The manual pulled information from the Aviation Weather manual as well as the Pilot's Handbook of Aeronautical Knowledge and provided the information in bite size chunks to read, digest and the test on. This manual and the accompanying software gave me the confidence to take the FAA exam which I passed on my first attempt. Using the manual and the two reference manuals, I was very confident as I took the test. A: No, the software license code is shrink wrapped inside the book.